I’m currently at about half through draft one what should be my next book. The word count stands at 49,685 words. We’re going to play guess the final word count! It’s like guess the jelly beans. 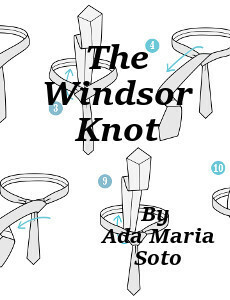 Send an email to adamariasoto@gmail.com with “Windsor Knot Word Count” in the subject line, and your guess as to the final published word count. I’ll tag and archive it without reading it. When the book comes out I’ll look at the guesses and if you’re within 5k you’ll get a free ebook copy. 2k and I’ll send you a signed paperback. Keep in mind Empty Nests got split into two books because the first draft was 125k. Back in my fanfic days my longest piece was 130k. I don’t know how to do short. P.S. Over 18 only. This book will have some naughty bits in it.